People who have emigrated from ASEAN countries are playing an increasing role in US society. Currently about 7 million of the 20 million Asian Americans come from ASEAN. 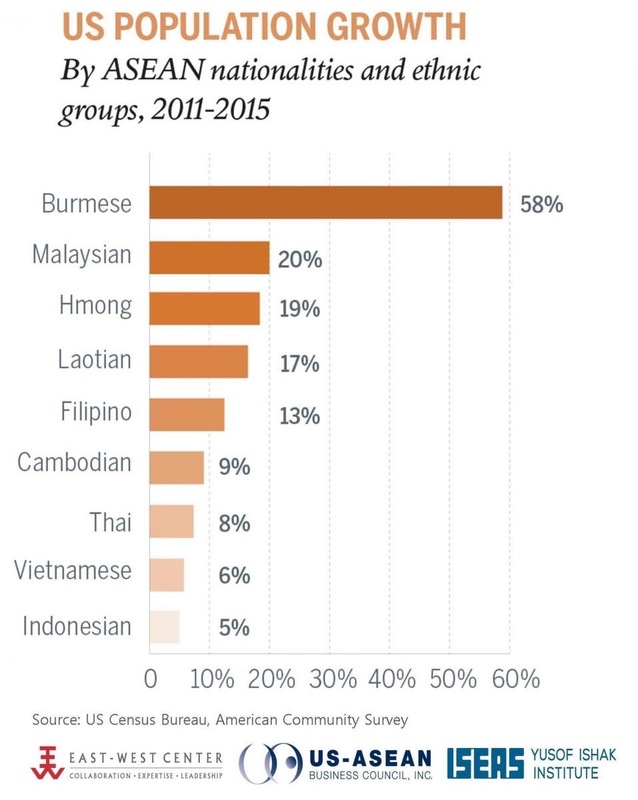 Interestingly enough the largest ethnic group are Burmese which make up over half of the entire ASEAN diaspora in the United States. It is also interesting to note which states they tend to have migrated to. In this case we see the larger more populous states such as California and Texas have attracted many from ASEAN. 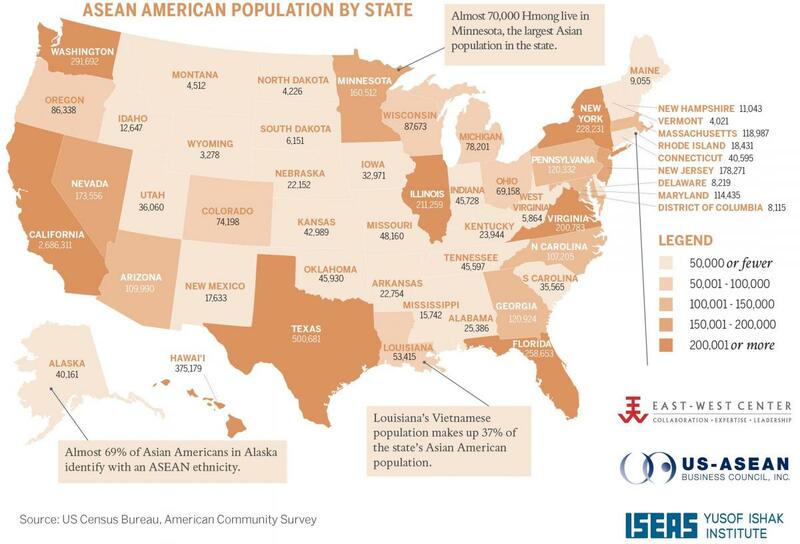 Two unique clusters of population centers in the US are the 70,000 Hmong who settled in the state of Minnesota and the fact that 69% of all Asians in Alaska come from an ASEAN heritage. Alaska’s climate is about as far away from the countries of ASEAN’s weather as you could imagine. It would be a real shock moving from Ayutthaya, the former capital of Thailand to Anchorage, the largest city in Alaska.